Interactive digital learning material was developed – in the context of the EURRECA Network of Excellence - to assist students in obtaining insight into the principles of evaluation studies within nutritional research. The material contains a sequence of exercises which guide the student through the design and analysis of evaluation studies. For this, knowledge on research methodology is required which can be obtained by studying theory modules. To investigate the effect of timing of information presentation, two versions of the material were tested: a version in which all theory modules were presented before the exercises and a version in which the theory modules were presented just-in-time, when needed for a specific exercise. An inventory of students’ appreciation of the material and an analysis of the quality of the learning outcomes indicated that just-in-time presentation of the theory during the exercises enhanced students’ performance and appreciation of the material. Busstra, M.C., Geelen, A., Noroozi, O., Biemans, H.J.A., de Vries, J.H.M. & van 't Veer, P. (2010). Timing of Information Presentation in Interactive Digital Learning Material Affects Student’s Learning Outcomes and Appreciation of the Material: a Pilot Study in the Domain of Nutritional Research Education. In J. Herrington & C. Montgomerie (Eds. ), Proceedings of ED-MEDIA 2010--World Conference on Educational Multimedia, Hypermedia & Telecommunications (pp. 3091-3100). Toronto, Canada: Association for the Advancement of Computing in Education (AACE). Retrieved April 26, 2019 from https://www.learntechlib.org/primary/p/35084/. Anderson, J.R. (2000). Cognitive psychology and its implications (5th ed.). USA: Worth Publishers. Brown, J.S., Collins, A., & Duguid, P. (1989). Situated learning and the culture of learning. Education Researcher, 18(1), 32-42. Honebein, P.C., Duffy, T.M., & Fishman, B.J. (1993). Constructivism and the design of learning environments: context and authentic activities for learning. In T.M. Duffy, J. Lowyck & D.H. Jonassen (Eds. ), Designing environments for constructive learning (pp. 87-108). Berlin: Springer-Verlag. Larkin, J.H., & Simon, H.A. (1987). Why a diagram is (sometimes) worth ten thousand words. Cognitive Science, 11, 65-99. Margetts, B.M., & Nelson, M. (1997). Design concepts in nutritional epidemiology (2 ed.). Oxford/New York: Oxford University Press. Mayer, R.E. (2003). 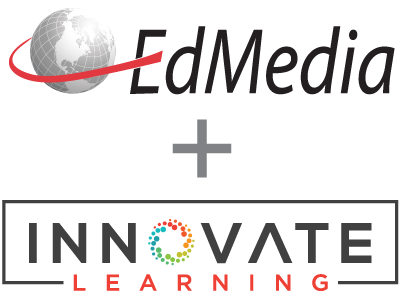 The promise of multimedia learning: using the same instructional design methods across different media. Learning and Instruction, 13, 125-139. Schnotz, W. (2002). Towards an Integrated View of Learning From Text and Visual Displays. Educational Psychology, 14(1), 101-120. Sweller, J., van Merriënboer, J.J.G., & Paas, F.G.W.C. (1998). Cognitive architecture and instructional design. Educational Psychology Review, 10(3), 251-296. Van Merriënboer, J.J.G., Kirschner, P.A., & Kester, L. (2003). Taking the load of a learner's mind: instructional design for complex learning. Educational psychologist, 38(1), 5-13. Veldhuis-Diermanse, A.E., Biemans, H.J.A., Mulder, M., & Mahdizadeh, H. (2006). Analysing Learning Processes and Quality of Knowledge Construction in Networked Learning. Journal of Agricultural Education and Extension, 12(1), 41-57.